Create your own hosting company with secure, reliable and affordable reseller hosting plan. The best, secure, scalable and reliable Pakistan based reseller hosting. 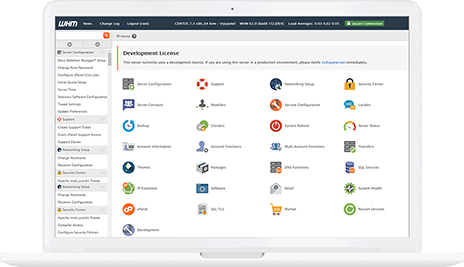 WHM is the control panel for administering a hosting server, and allows you to create and manage cPanel accounts, and set certain global settings that apply to all the accounts, or the server. WHM come with our reseller plans.